I did not finish the basket in class. 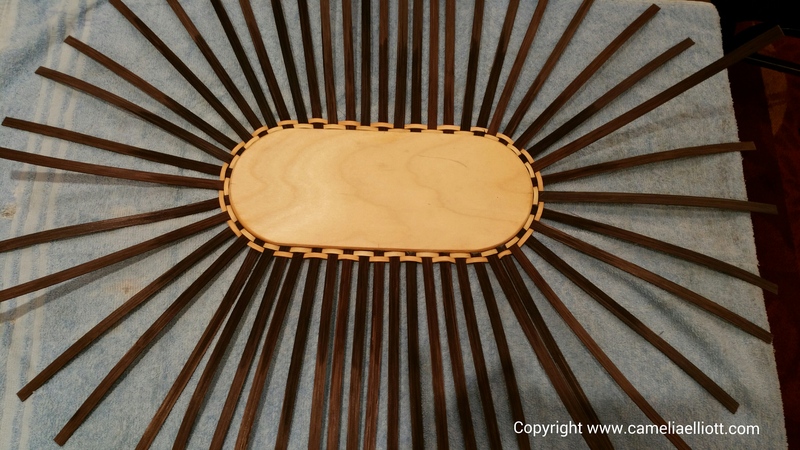 At a later time, I will finish the rim and stain the basket. I am pleased with the end result and as you can see it matches my colors well! Julie Kleinrath of Colorado taught this class. 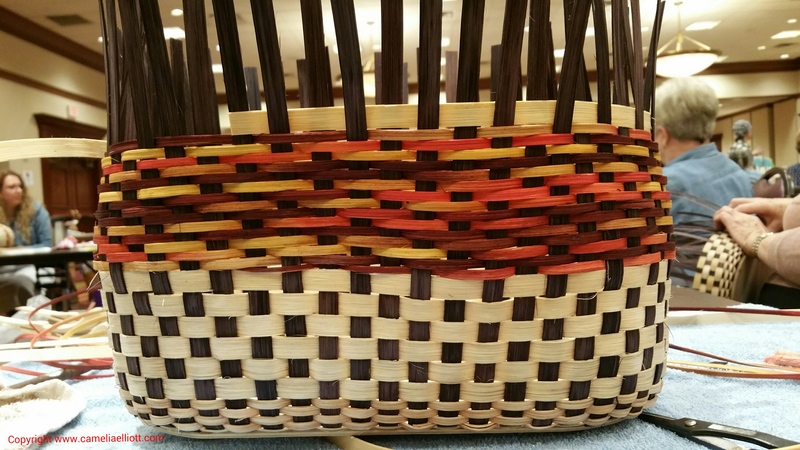 This entry was posted in Uncategorized and tagged Basket Weaving, Checkerboard Basket, Space Dyed Basket, Texas Basket Weaver's Association Texas Gathering, Texas Basket Weavers Association, Texas Gathering 2015. 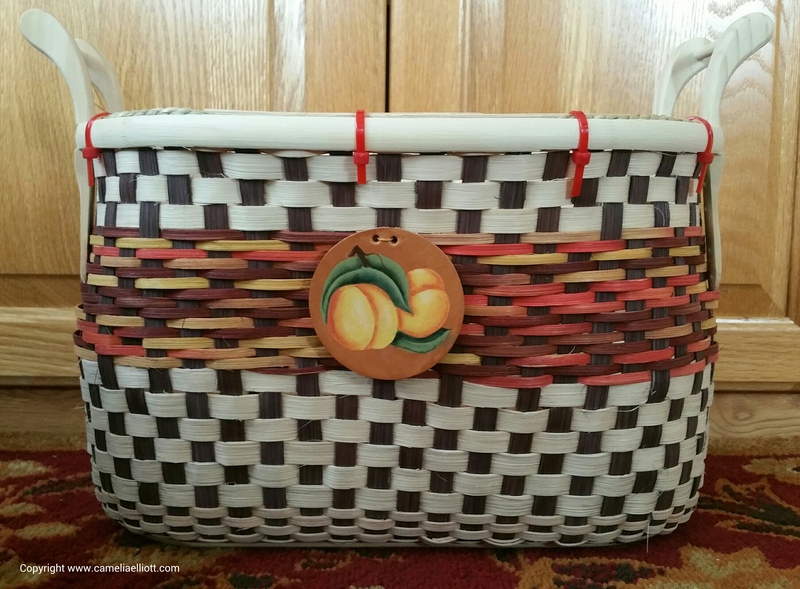 Love your baskets! You always seem to get so much done at these workshops! Even with this one not finished it is beautiful! Thanks, Mary Ellen. I really enjoy attending yearly convention and love to see what everyone else is working on!